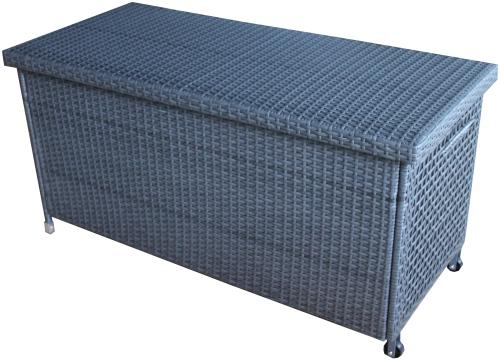 Lir Rattan Lounge set consists of a corner lounge unit, one arm hair, a dining table and two ottoman stools. 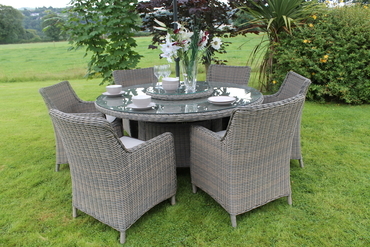 The tabletop is in poly wood with a rattan edge detail. Aluminium frame. 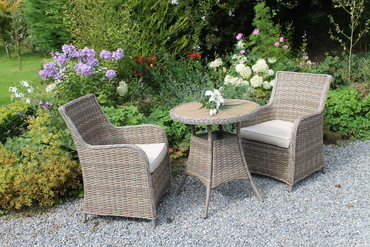 The Lir Rattan Lounge set is a very stylish outdoor dining and lounging experience. 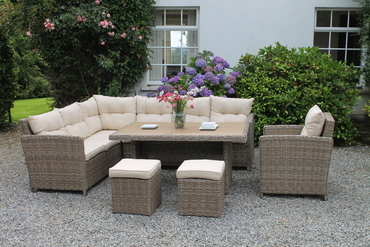 The honey coloured rattan is soft and coordinates well with the self piped cream cushions. It is accompanied by a very generous arm chair and two stools. 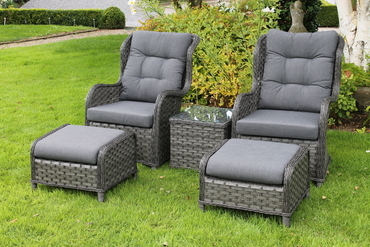 Patio furniture for your outdoor space has never been so stylish!